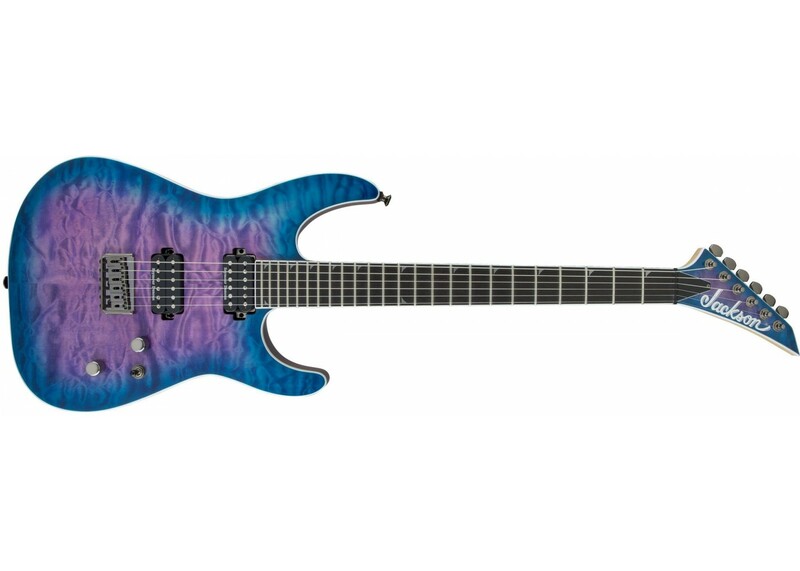 Unlock your full potential as a player with the innovative Jackson Pro Soloist SL2Q HT MAH, the final word in high-tech guitar design. 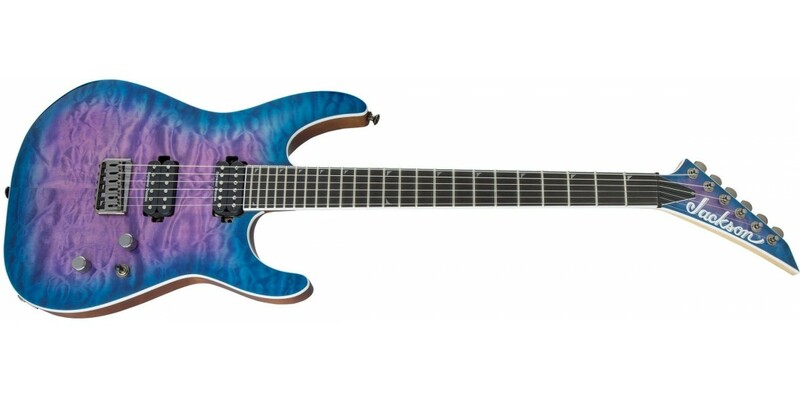 A high-performance evolution of the electric guitar, this ergonomic instrument opens up new horizons of playability, resetting the bar of what’s possible in guitar design. 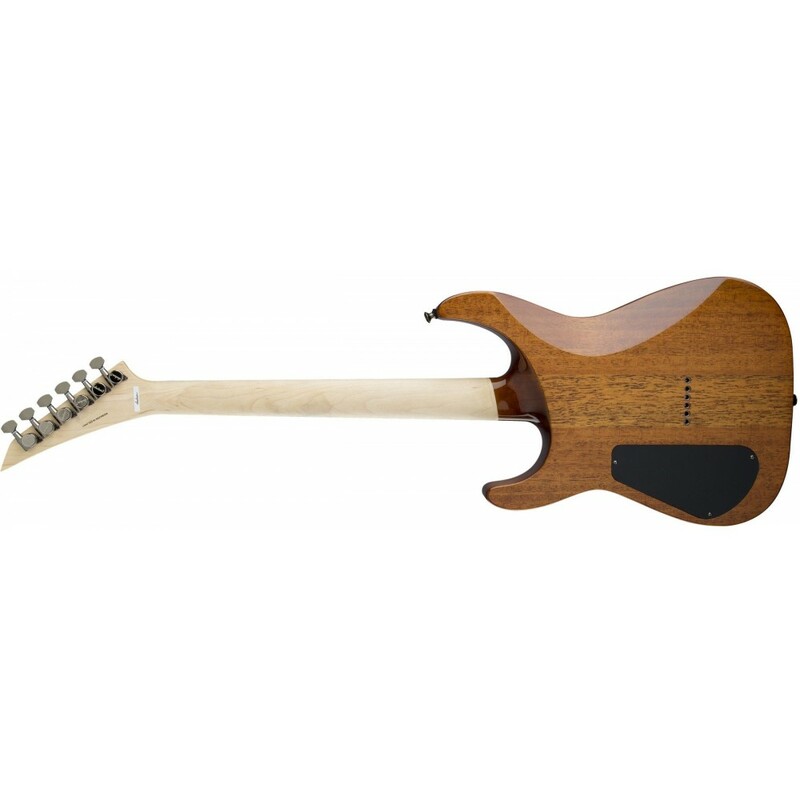 Premium features include a mahogany body with a quilt maple top and a one-piece through-body maple neck with scarf joint and graphite reinforcement rods to provide stiffness and high stability, guarding against temperature- and humidity-induced bending and warping. 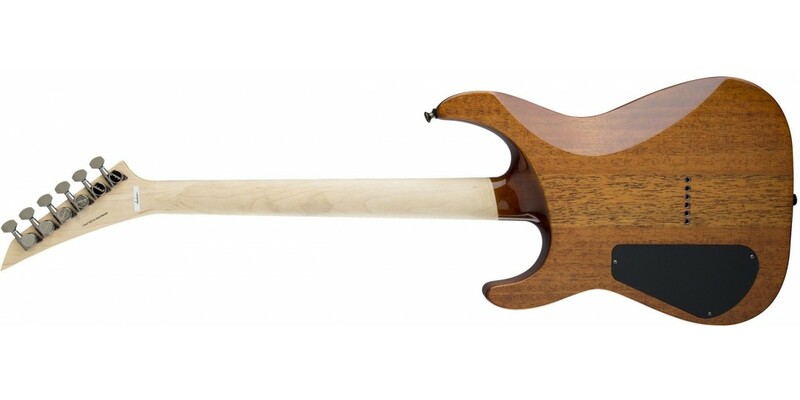 Its 12”-16” compound radius ebony fingerboard with 24 jumbo frets is designed for highly technical lightspeed playing—more curved by the nut for comfortable chording, it flattens out as you move up the neck (with hand-rubbed oil back finish) for increasingly fast playing speed and wide bends without fretting out. 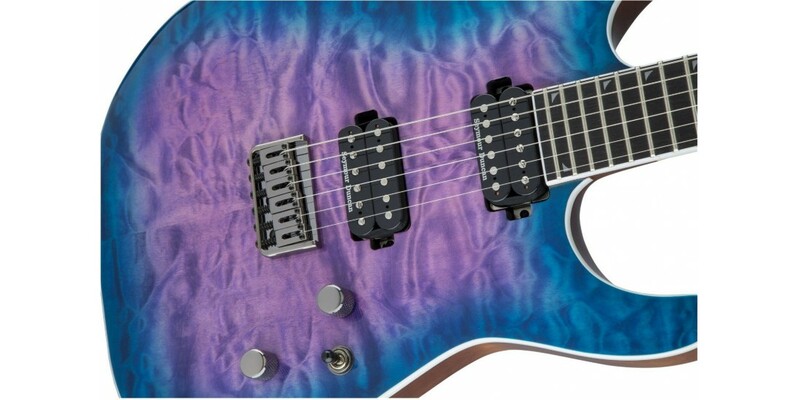 Chosen specifically for their incredible sound, a pair of modern Seymour Duncan Distortion humbucking pickups (TB-6 bridge/SH-6N neck) drives this guitar’s voice, combining for highly balanced, flexible tone, with plenty of high output for pristine cleans and snarling distortion. 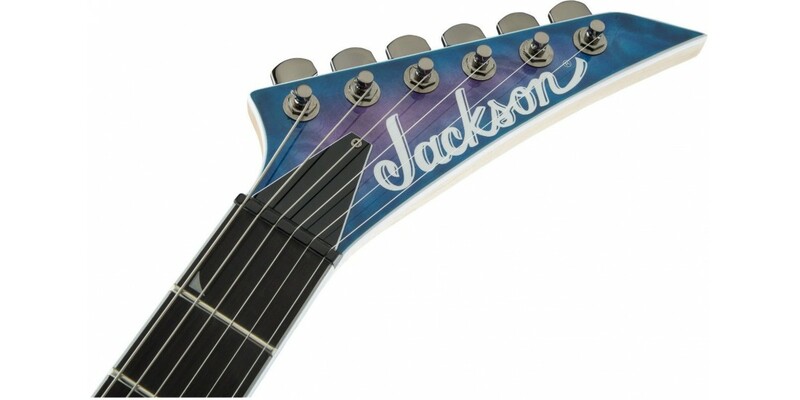 Single volume and tone controls shape the pickups’ output, which can be further refined with the three-way pickup toggle switch for the precise voice required to bring your musical vision to life, while a Jackson HT6 string-through-body hardtail bridge provides endless sustain. 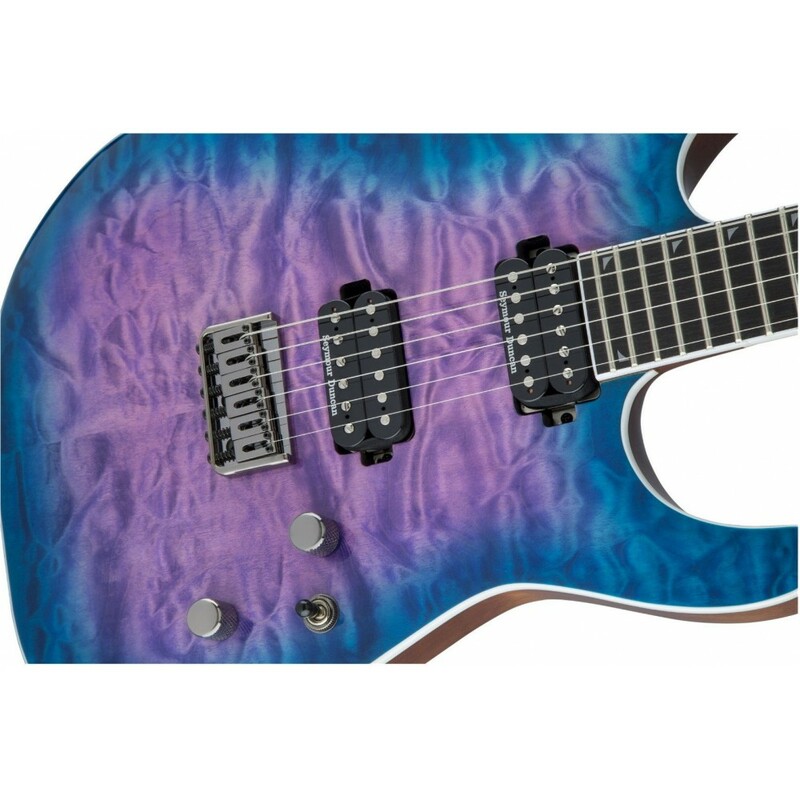 Sporting stunning style, the SL2Q HT MAH is offered in Fuchsia Burst with black hardware and pearloid piranha tooth neck inlays or in Northern Lights with black nickel hardware, alumiloid piranha tooth inlays and white binding around the body, neck and headstock. 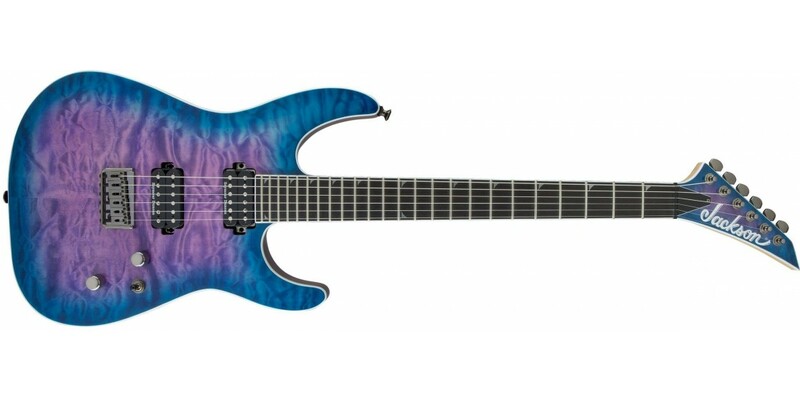 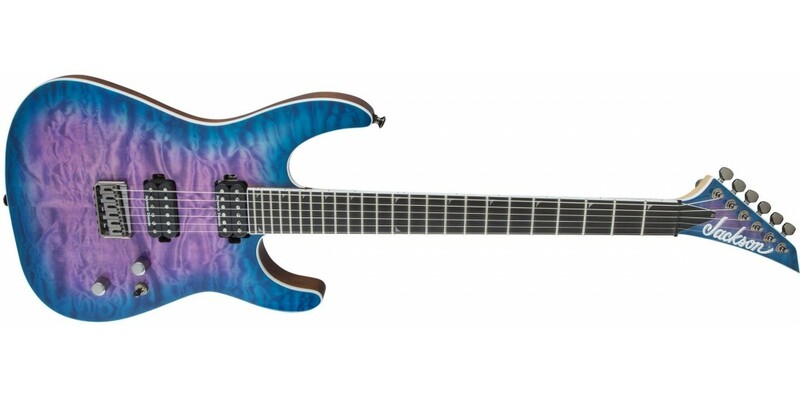 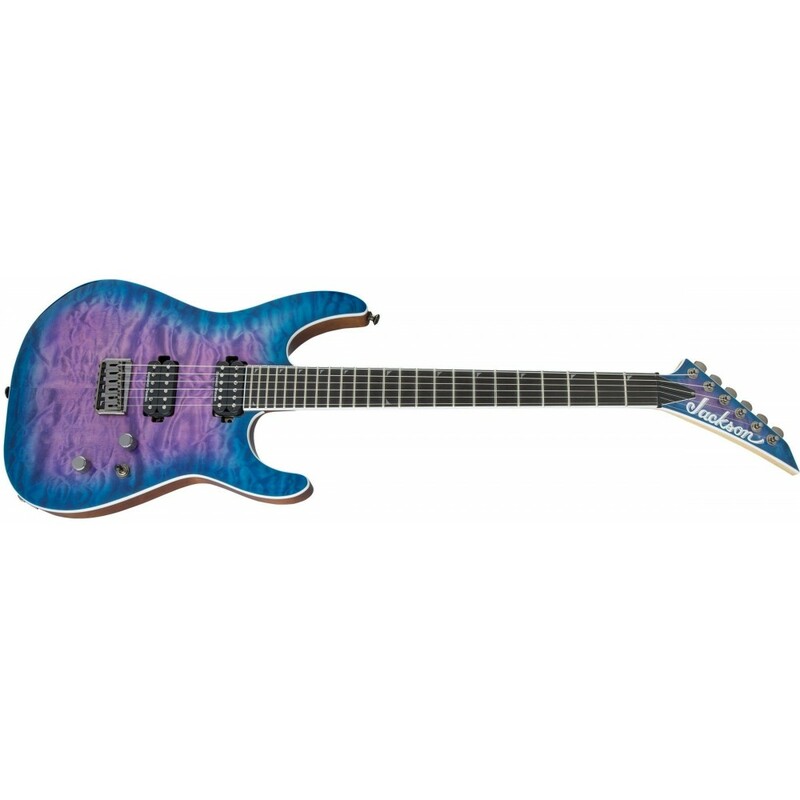 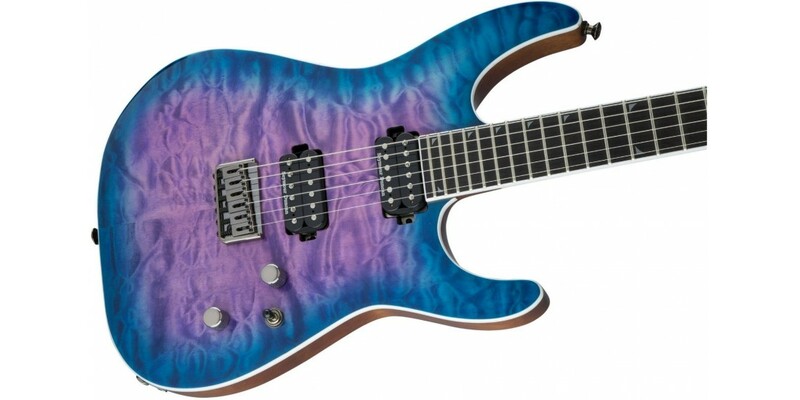 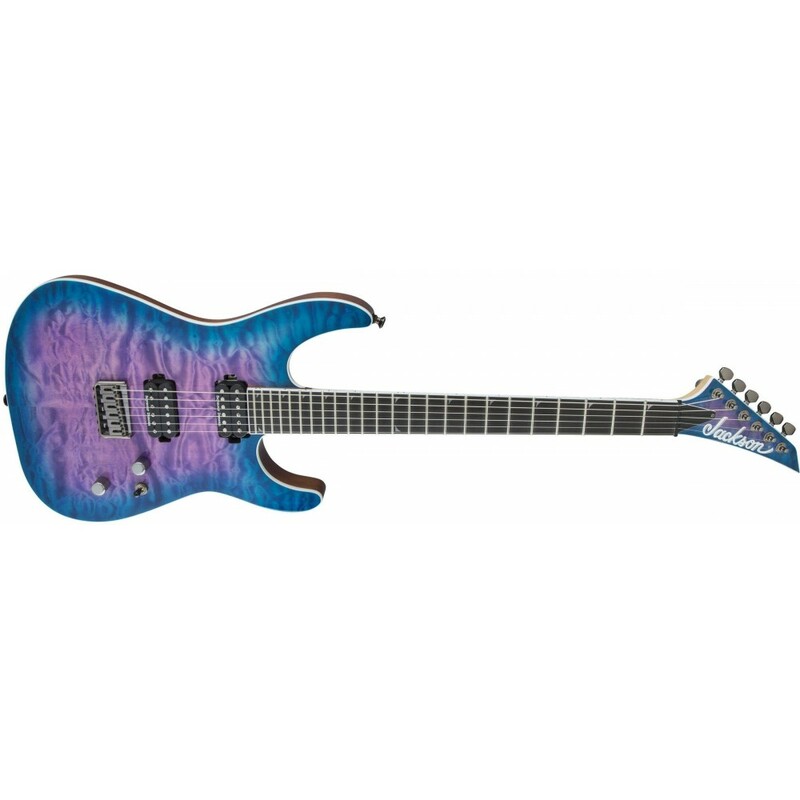 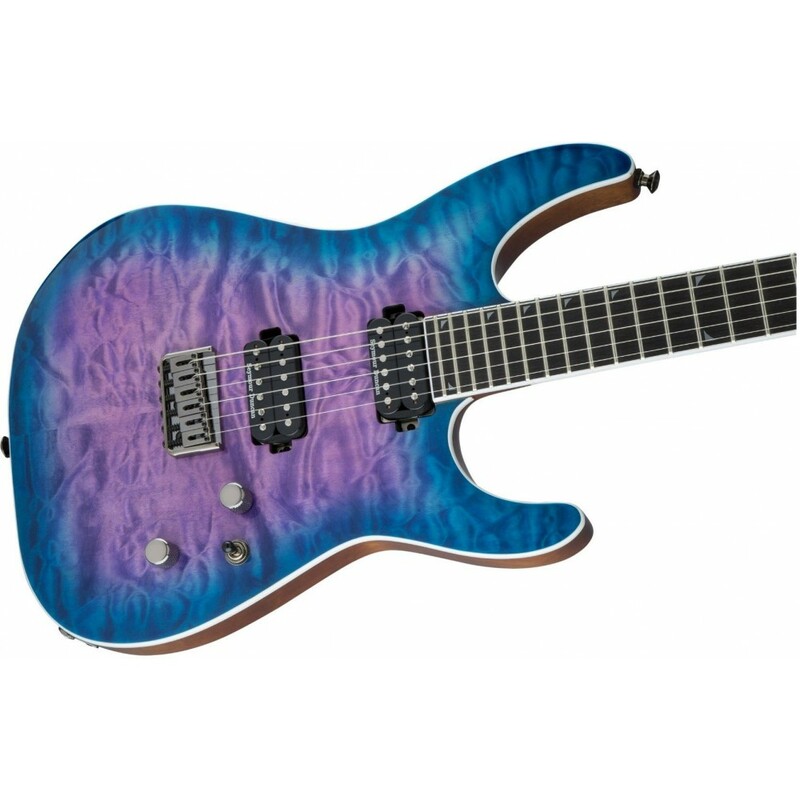 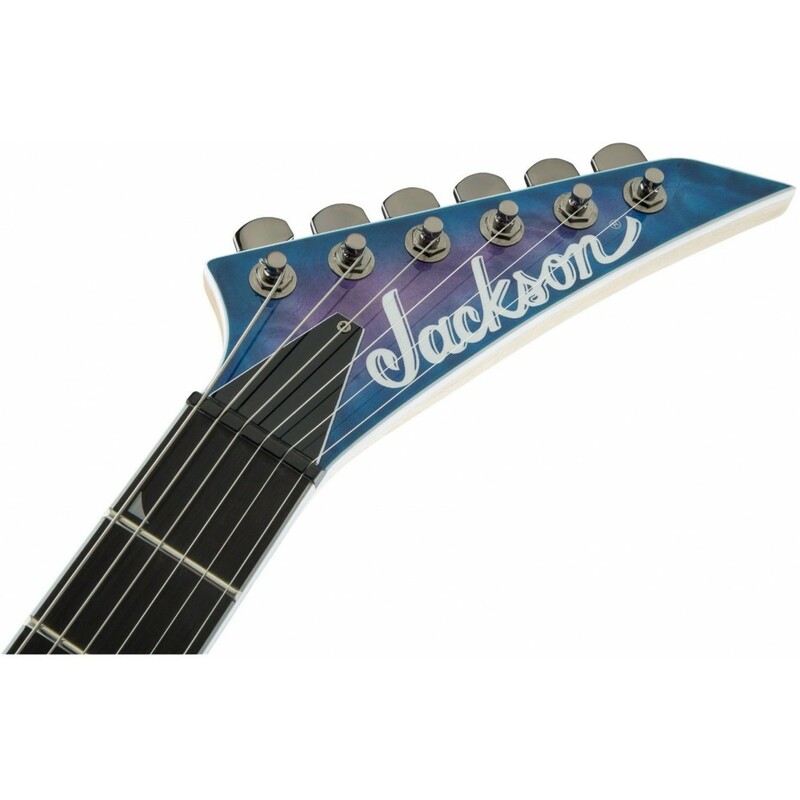 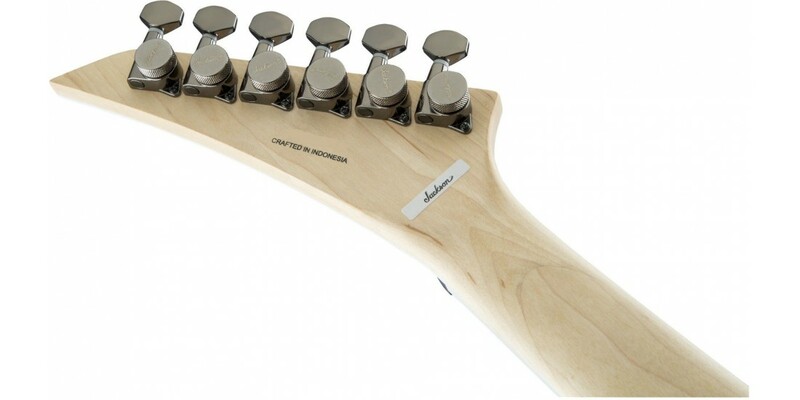 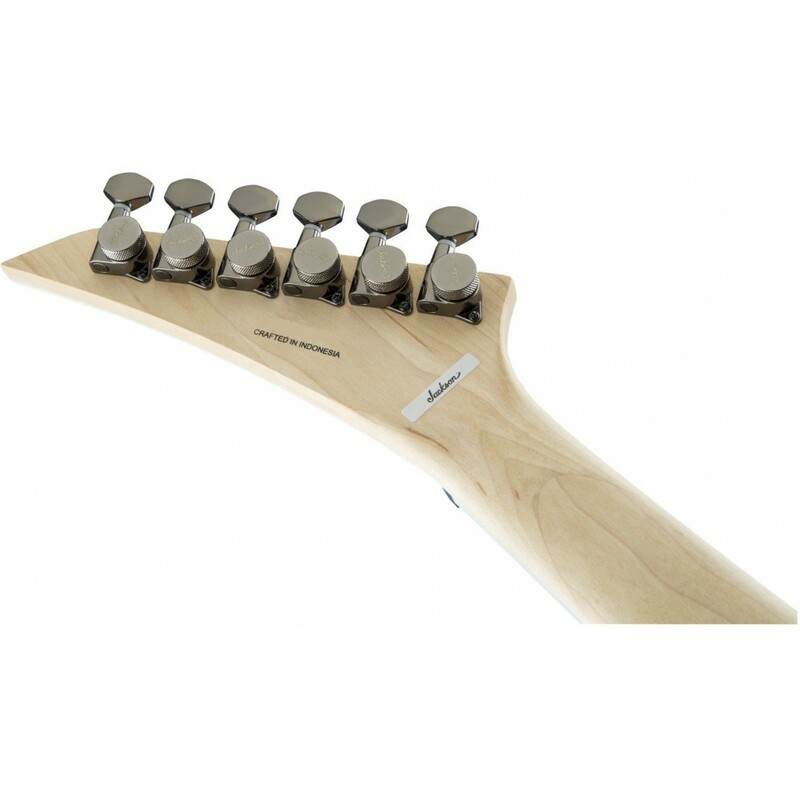 Both models also feature sealed die-cast locking tuners and Jackson’s signature pointed 6-in-line matching headstock.